Message on the card inside reads: "Hold dear the promise of love"
Sculptor Susan Lordi carved this piece so that it could be viewed in the round; the viewer gets a different understanding depending on how they turn the piece. If you view from the side where you can see the man and womans arms around each other, it looks like theyre kissing. 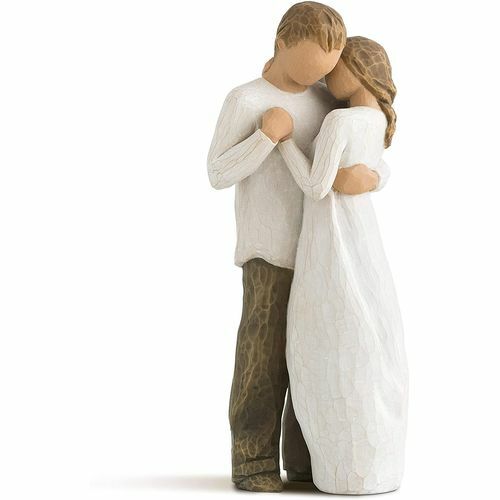 If you turn it and view it from where you can see their faces and clasped hands, it looks like theyre dancing and its a totally different piece. 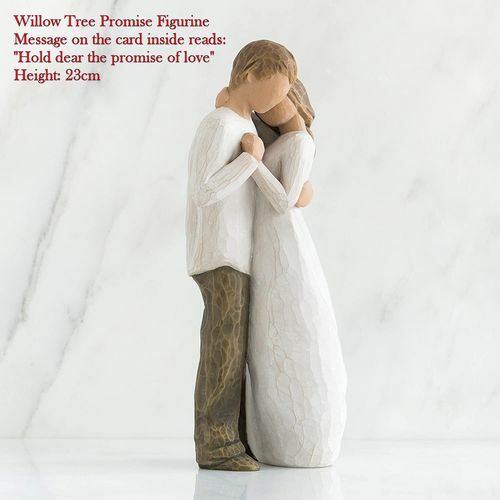 As such, this Willow Tree ornament possesses an intelligent aspect of duality.